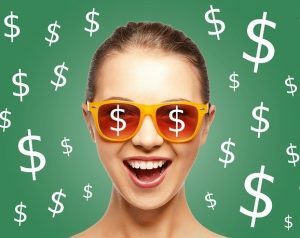 Are people who make more money happier? What about people who save more? Can people be happy with very little? And how do your spending habits impact your satisfaction? In this article, we’ll explore the relationship between wealth, income, and happiness. As you’ll see, there are many insights we can glean from various studies on the topic, the relationship between money and happiness isn’t necessarily simple. Economists Betsey Stevenson and Justin Wolfers of the University of Michigan examined World Bank data from more than 150 countries. Not surprisingly, they concluded that the more money you have, the happier you tend to be. However, money will only make you a little happier. According to 80000hours.org, “each doubling of your income correlated with a life satisfaction 0.5 points higher on a scale of 1 to 10.” In other words, doubling your income may make you only about 5% happier than you are right now. Other studies indicate that an increase in one’s income has a greater impact on happiness below a certain level. Research by Princeton University Economist Angus Deaton indicates that in the U.S., $75,000 is a meaningful benchmark when it comes to money and happiness. Below that level, more money translates to a lot more happiness. Over $75,000, increases in happiness begin to level off as income continues to climb. Apparently, money matters more if you have very little of it, and it matters less when you have more of it. What is the significance of $75,000, more or less? It is theorized that $75,000 approximates the amount at which basic needs can be easily met in the U.S. As Abraham Maslow’s hierarchy of needs suggests, when physical needs such as food, shelter, and healthcare are not met, other needs are less important in comparison. It may be a case of preventing sadness more than buying happiness. Scholars at Michigan State University and the University of British Columbia concluded that above a certain level, there is “no trace of a relationship between income and happiness.” So, while it seems that money produces happiness, the truth is that poverty tends to make people unhappy at a level far deeper than merely the struggle to pay bills. However, not all studies support the “more is better” theory. Perhaps at odds with other studies, a report in Social Psychological and Personality Science magazine found that the wealthier people were, the less likely they were to savor positive events. Perhaps people with the financial ability to do or purchase almost anything they want are in danger of becoming numb to simple pleasures of life. In this 1978 landmark study, psychologists sought to answer the question, “Is Happiness Relative?” by interviewing those who had experienced notable gains in life – Illinois State lottery winners – and those who had experienced great loss: paralyzed accident victims. While the lottery winners were determined to be the happier group overall, the accident victims actually derived slightly greater joy and pleasure from everyday experiences such as enjoying time with a loved one or visiting a park on a beautiful day. Almost everyone assumes that more money will make them happier, but that’s not necessarily the case. 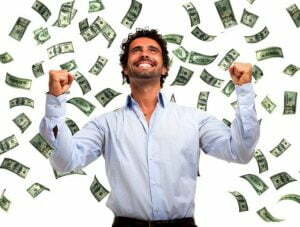 Other studies, such as a 2008 University of California, Santa Barbara, paper on “Unexpected Income Shock” found that modest-sum lottery winners (winning sums equivalent to about 8-months’ income) were not measurably happier than others only six months after their windfall. One theory as to why such windfalls don’t ultimately increase happiness is the psychological concept called “happiness adaptation,” articulated by Michael Norton, associate professor at Harvard Business School. In 2007, Norton co-authored a paper that sought to understand why reaching life goals – whether the dreamlike goal of winning the lottery or more common goals such as getting married – don’t end up making us as happy as we anticipate. The paper concluded that people tend to get used to things – both the good and the bad – and thus, our personal happiness is not significantly shifted by such accomplishments. It is important to keep in mind that no amount of money – nor lack of it – can determine one’s emotional state. While those living in poverty may be less likely to see themselves as happy, there are plenty of exceptions. The World Database of Happiness, which measures the levels of happiness found in various nations according to a certain set of standards, often finds countries such as Costa Rica, Puerto Rico, and Mexico ranking above more affluent countries. Lynne Twist, author of The Soul of Money, argues that our experience of scarcity is fundamentally contextual. In other words, we tend to base our determinations of what is “enough” or “not enough” by comparing our situation to that of others. A 15-year old middle-class American girl in an upscale neighborhood may live like a queen compared to a 15-year old in Fiji, yet in her consumer-based culture, she may feel deprived if she can’t spend spring break in Hawaii or upgrade to the latest smart phone. Meanwhile, a school child in Fiji with a much lower standard of living may feel extremely content with life in a culture in which singing, dancing, and celebration are a way of life. You Really Can Buy Happiness! 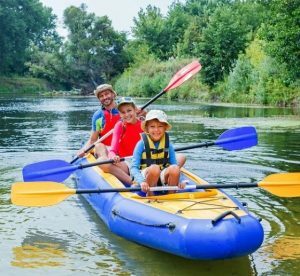 Research from Dr. Thomas Gilovich of Cornell University reveals that spenders experience more long-term happiness and satisfaction when they buy experiences rather than possessions. A new watch or necklace increases happiness for a short while, but it soon becomes a routine part of the purchaser’s environment, contributing little to happiness and possibly even inducing buyer’s remorse. However, dinner with friends, a Broadway play, or an Alaskan cruise creates valuable memories shared with others. Connection creates meaning, and we’re more likely to bond with someone who also hiked the Appalachian trail than someone who purchased the same television. You’ve heard that “money is time,” and spending money to create more time is another expenditure that tends to raise happiness. If a promotion guarantees a higher income yet a much longer commute, it might not be a good deal. Not only is time a valuable non-renewable resource, but the more time you have, the more experiences you can enjoy! Studies by the Chicago Booth School of Business and the University of British Columbia found that people experienced more happiness when they spent money on others. The emotional rewards of social spending such as donating money to a food bank were even tracked on MRI scans in a University of Oregon study, according to a WebMD article. Whether treating someone else to an experience or helping another – including giving to charities – it appears that money is best shared. 4. Save your way to happiness! According to a survey of 1,025 adults conducted by Ally Bank, the more money people have in savings, the happier they are! Those with savings accounts were 31% more likely to rank themselves as “extremely happy” or “very happy” than those without savings accounts. A notable 57% of those with $100,000 or more in savings describe themselves as “very happy” or “extremely happy,” compared with only 34% of those with less than $20,000 in savings. Those surveyed counted among the benefits of saving the ability to “face the unknown” (92%), “feel proud” (84%), “feel independent” (84%) and “realize life goals” (78%). The majority of participants (84%) ranked having money saved as more important to their sense of well-being than eating healthy foods, getting regular exercise, and having an enjoyable job. Are you ready for more happiness? We’re here to help raise your satisfaction and your savings! If you would like to learn how you can grow a substantial amount of cash that you have access to at any time without penalties, is unrelated to the stock market, and will generate income that is not included in your tax return, visit our website at http://InfiniteBankingSimplified.com/ or feel free to email us your questions at ContactUs@InfiniteBankingSimplified.com or call us toll-free at 1-844-443-8422.